Ideal for kids ages eight and up, the Razor Hovertrax 2.0 is still one of the hottest toys on the market. With the fire-safety concerns in the rear-view mirror, the hoverboard might not be the most educational gift, but it’s a great way for kids to hone their motor skills. Capable of cruising at a speed of around 8 mph on a 350-watt motor, the Hovertrax 2.0 can run for around 60 minutes of continuous use for riders up to 220 pounds. For extra support, the Razor includes its exclusive EverBalance technology that makes for an easier mount and smoother ride, especially for beginners. Sometimes for younger kids, a fully electronic toy isn’t the best because you want to encourage them to partake in more tactile creativity while also learning via electronic capabilities. This VTech desk does just that. When it’s in desk form, it comes with a variety of content sheets that teach children different things from basic anatomy to geometry to letters and words. It does so with bright colors and pictures that connect into three electronic mechanisms: an LED screen to highlight numbers and letters and give feedback, a number dial touch pad for learning math, and a mini radio for playing the tunes that go with the lessons. The content packs are expandable with separate cartridges so once your child masters these basics, you’ll keep them learning and asking for more fun. If you want them to learn more traditional writing and drawing, the desk folds up into a standing easel with a chalkboard and internal storage so they can doodle and sketch like kids have been doing since long before modern tech. It’s the best of both worlds. 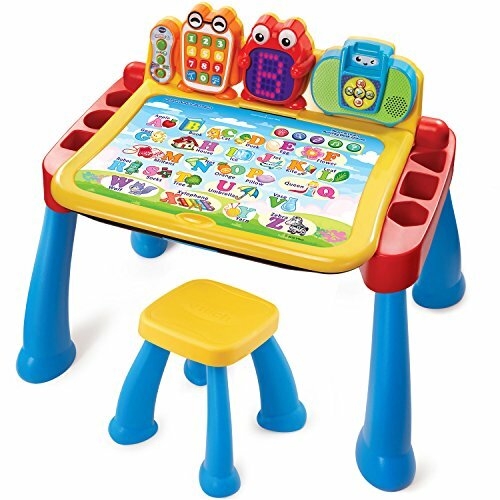 The VTech Touch and Learn Activity Desk is recommended for children ages two and up. 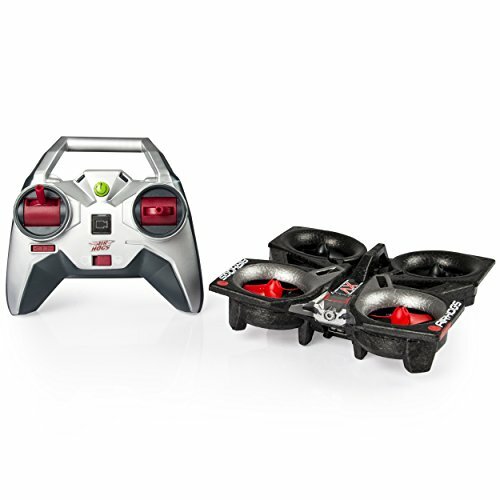 Recommended for ages eight to 13 years old, the Air Hogs Helix X4 quadcopter is a great beginner drone that’s durable enough to handle a rough and tumble new user. With a charge time between 45 to 60 minutes, users will have around five or six minutes of flight time (which admittedly isn’t much), but it’s enough to offer kids a chance to get their feet wet and learn the hand-to-eye coordination required for more expensive and larger drones. And because it only has a flight distance of around 40 meters, parents won’t have to worry about FAA regulations or the kids straying too far from the yard. The 4M Tin Can Robot isn’t the flashiest robot around, and it is certainly not even close to the most expensive. But what it lacks in cutting edge features it makes up for in creative and educational value. 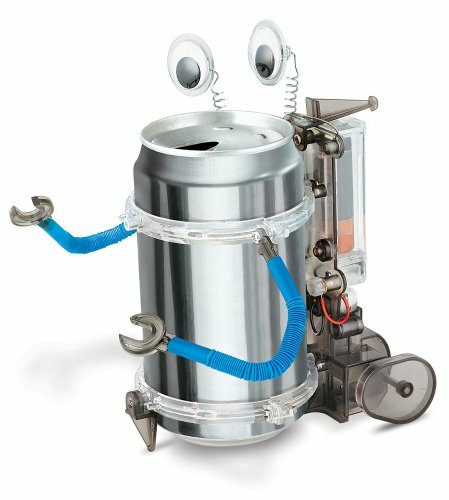 This kit comes with everything you need to transfer your standard tin or soda can into a moving, functioning little robot. The kit comes with a variety of wheels, erector-style metal pieces, glue, lubricant, and wiring that lets you piece together whatever type of robot you want, and it even comes with a detailed set of instructions with recommendations on what kind of robots you should build. The whole project is for kids age 9 and up and not only does it foster a sense of valuable environmental principles, but it will also get kids curious about engineering and STEM fields. The whole set runs on 1 AA battery and can even be mixed and matched with other 4M robot kits for exponential amounts of creativity. Copyright © 2019 Mac Running Slow. All rights reserved.